Every year, thousands of Magellanic penguins are stranded along the South American coast–from northern Argentina to southern Brazil–1,000 kilometers away from their breeding ground in northern Patagonia. Now researchers reporting in Current Biology on January 7 have new evidence to explain the observation that the stranded birds are most often female: female penguins venture farther north than males do, where they are apparently more likely to run into trouble. Researchers knew that penguins stranded along the South American coast were three times as likely to be females. The question was: why? While data were lacking, there wasn’t any evidence to suggest that males and females split up for the winter. Now, Yamamoto and his colleagues find that in fact they do. 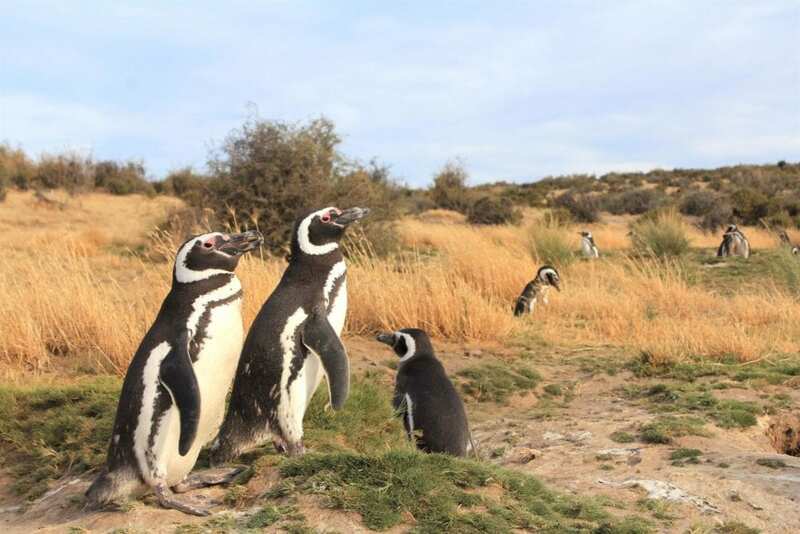 The researchers recorded the migratory and diving behavior of 14 Magellanic penguins (eight males and six females) during the non-breeding period in 2017 using LAT 2500 geolocators (Lotek Wireless, Inc.). The Magellanic penguins finished breeding in late February. Afterward, they began their migration through April, returning to the breeding grounds in September or October. During the wintering period, the tracking data show that females reached more northern areas than males did. Females showed other differences too. For example, they didn’t dive as deep under the water. The researchers suggest that these behavioral differences between sexes in winter might be related to competition for food resources or other factors related to differences in size (males are larger and heavier than females). They also suggest that penguins traveling farther to the north may be at greater risk to a wide range of threats, leading them to become stranded more often. Yamamoto also notes that juvenile penguins are stranded more often than adults are. To further explore, they’d like to track movements of juveniles from the time they leave the place of their birth until they return to breed for the first time. “Information during this period is totally missing,” he says. This work was supported by JSPS KAKENHI.